I enjoyed this past issue of the International Orality Network (ION) Newsletter. I honed in on J.O. Terry’s article about Learning Leaders. He wrote that they are generally “a peer among the listeners or people group. They may not be literate, or if literate, often are only marginally literate. It is best if learning leaders are taught or trained in the same manner they will in turn use in teaching others.” I thought about Paul’s admonition in II Timothy 2:2 and tried to imagine how we profile students that will become effective replicators of the material, behaviors, and attitudes that we’re modeling. In all of this, I realized that storying (and its methodology) was stimulating my thinking about broader discipling processes. All of which makes me wish I could go farther in my training as a storyteller — because I have a hunch that storytelling would teach me more than a bunch of stories. :-) Your thoughts? Are you able to resonate with my conclusions? OK, so now the scene is set. And now we ask about the redeeming values. If you can get past all the obscenities, it seems to me that there are several lessons in leadership found within Affleck’s portrayal of Tony Mendez and the dynamics of the entire drama. I’d like to propose four lessons, then ask you, the Brigada audience, what further lessons YOU can find in Argo. *** Leadership, at the end of the day, is believing so strongly in an idea — a big idea — that you’re even prepared to die for it if you have to. Once you reach that level, you can truly rise to heroic status. Anything less than that and you’ll probably be relegated to a medium performance, at best. Affleck’s portrayal of Tony Mendez has received broad acclaim partly because Mendez was indeed a leader willing to die for his cause. (Note: This Mendez guy is the real deal. Argo got a few things wrong, but MANY things it got right — and Mendez is one of them. 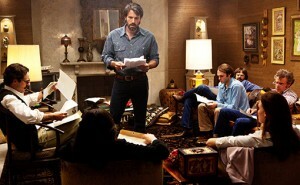 One of the reasons the movie works is that Affleck helps us see that this guy labored over his integrity: In the movie version of the story, he realized that he had ‘outed’ these six hostages. He HAD to carry through with the rescue now. So… the question we have to ask ourselves as leaders is this: Are we willing to give our LIVES for the cause. I don’t mean — are we willing to leave our wives and children (we should be willing to take them with us). I mean… are we so passionate that this ’cause’ is more than a job. Is it a dream to which we’ll commit ALL of ourselves. *** Secondly, there will be times, as leaders, that we will have to be so sure of our cause that we have to articulate it even when others believe it’s a dying cause. And part of the MAGIC of leadership is effectively convincing others that the cause is worth living for… and that it will succeed. My buddies and I have several friends who have said it this way: You’ll know a leader because there will be people following her — or him. Affleck’s depiction of this in the movie is spectacular. In the movie version of the story, [plot-spoiler] the CIA calls off the rescue all together. 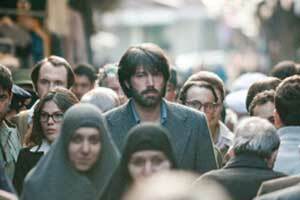 Affleck’s character at first seems to relent and obey the order. But in a long and lonely night, he inwardly battles through the inner conflict: Does he follow through with his personal convictions even though it risks certain death, being fired and released when he returned (especially if he fails), and the possibility of being made a complete fool if his headquarters doesn’t reconfirm the airline tickets, for example. The upshot for you and me, as leaders: Can we pick our battles? Can we grow the intuition to know when to campaign for follow-through, and when to let go? Can we sort out when to stand up for what we believe and when to walk away. Those decisions, little by little on a daily basis, help shape the successes, or the failures, of us all. *** Third, can we as leaders keep secrets? Mendez pulled all this off in 1980 — but then he couldn’t tell a soul. He couldn’t even tell his WIFE! It wasn’t until the whole thing was declassified in 1997 that the story could finally come out. Can we muster that kind of confidence and humility? “Loose lips” not only “sink ships,” as the old WWII poster says, they also can sink churches and mission agencies too. *** Fourth, in the movie version, what did it take for Mendez to convince all six hostages to play along — especially the character, “Joe Stafford,” who said, in the movie version, ” You really believe your little story’s gonna make a difference when there’s a gun to our heads?” Tony Mendez replied, in the movie, “I think my story’s the only thing between you and a gun to your head.” [plot spoiler] 48 hours later, as they attempt to board the plane, Joe Stafford steps up to the plate and uses his language skill to tell the story of the movie to the guards, complete with story boards and sound effects. Thanks to his willingness to join the team, they make it through the gate. Our task as leaders is no different. We have to persuade those who aren’t on board either to get on board or to get off the ship. No small task. It takes constant vigilance. But if we’re successful, some of the very people who didn’t want to be involved might mean the difference between success and failure. Now what about you? 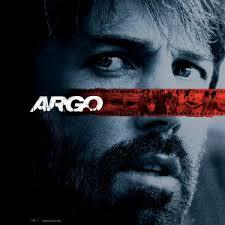 What lessons do YOU see in Argo? What did YOU learn about leadership, followership, and mobilization. Just click “Comment” below the online version of this item. Thanks in advance for your thoughts. And remember, please beware the bad language in the movie. *** Leadership finds its headwaters in a serving heart — Our two all-time senior captains aren’t bossy. They aren’t flamboyant nor do they constantly impress you with chatter about English footballers. What they DO have is a quiet strength that inspires confidence, stability, and consistency. The secret is to serve! It’s all about serving. *** There is strength in multiple volunteers — Because I have a full-time job away from the high school where I coach, I simply couldn’t do this job were it not for a handful of extremely engaged parents who volunteer and “make the world go round.” I’ve become convinced that volunteers are the coolest people on earth. They don’t work for money; their only satisfaction is the internal, intangible fulfillment they get by knowing that they helped bring about the end-goal. If we had more people like them around the world, the earth might actually spin faster! There are other conclusions too numerous to mention. But these 3 at least get you started. In one way or another, they all seem to focus on leadership and how it happens best, perhaps. But what about you? What lessons have you learned from sport? 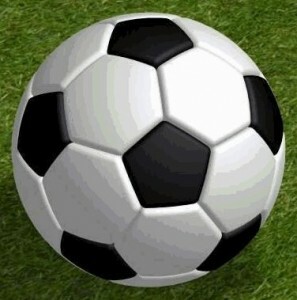 How does soccer (or your favorite pastime) help YOU understand reality. When is the athletic field most like the world in which you live and how does it help you cope? Just click “Comment” in the comments below to pitch in. Thank you in advance for any comments you can share. * Faith – Strong trust in God * Grounded in Scripture * Focused * Empowering * Servant leader — humble * People are drawn to his dreams. In short, he/she has followers. * Ability to cast a vision for a dream that hasn’t happened yet — Articulate, innovative, creative, a positive life force and a positive thinker, “can do” mentality * Possesses an enduring spirit. Doesn’t give up easily. Exudes determination. * Empathy: Creating a legitimate rapport with your staff makes it less likely that personal issues and resentment can creep in and derail the group. When your team knows that you are empathetic to their concerns, they will be more likely to work with you and share in your vision, rather than foster negative feelings. * Consistency: Being a consistent leader will gain you respect and credibility, which is essential to getting buy-in from the group. By setting an example of fairness and credibility, the team will want to act the same way. * Honesty: Another characteristic of leadership that lends itself to credibility. Those who are honest, especially about concerns, make it far more likely that obstacles will be addressed rather than avoided. Honesty also allows for better assessment and growth. * Direction: Having the vision to break out of the norm and aim for great things –then the wherewithal to set the steps necessary to get there– is an essential characteristic of good leadership. By seeing what can be and managing the goals on how to get there, a good leader can create impressive change. * Communication: Effective communication helps keep the team working on the right projects with the right attitude. If you communicate effectively about expectations, issues and advice, your staff will be more likely to react and meet your goals. * Flexibility: Not every problem demands the same solution. By being flexible to new ideas and open-minded enough to consider them, you increase the likelihood that you will find the best possible answer. You will set a good example for your team and reward good ideas. * Conviction: A strong vision and the willingness to see it through is one of the most important characterizes of leadership. 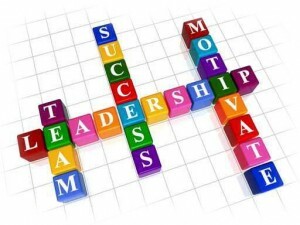 The leader who believes in the mission and works toward it will be an inspiration and a resource to their followers. * Committed and growing relationship with God. * Sensitivity, ability and willingness to deal with the challenges and issues full-time missionaries encounter. * Compassionate heart for missions and world evangelism. * Ability and commitment to work well in teams and with other people. 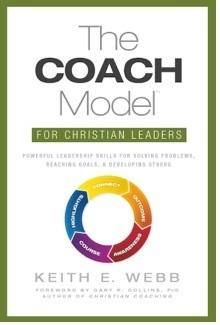 * Ability to coach, mentor, and empower other workers toward effective ministry. * Ability to lead in the establishment and implementation of team vision, values, and a strategic ministry plan. Now, using the comment box below, what attributes would you add? Thanks for your help! to download a brochure or register. Working in partnership in a cross-cultural context can be quite a challenge. Often different leadership styles can cause misunderstanding and friction. 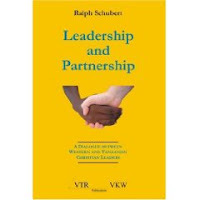 Here’s a new book by Ralph Schubert that features a dialogue between Western and Tanzanian Christian leaders on their leadership styles and their impact on cross-cultural partnerships. Entitled, ” Leadership and Partnership. A dialogue between Western and Tanzanian Christian leaders,” it lets us see how leaders from both societies discover the similarities and differences, strengths and weaknesses of each leadership style in terms of character, relationships, power and conflict and what they can learn from each other. The author proposes practical action steps how to move towards a truer Christian leadership style and more genuine partnerships. What are cultural tendencies that sabotage Christian leadership? 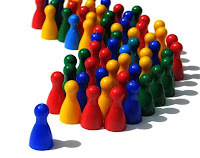 What about Christian followership? This past week, a Team Expansion team leader asked us for insights on this question in hopes of understanding these things and dealing with them more effectively. To get the ball rolling he nominated the idea of democracy. He wrote, “It’s a beautiful thing in many scenarios but the fact that you never see it used on sports teams points out that it has its limits. Doing everything democratically on a mission team might not always be possible.” What can you add? Just click “Comment” below. 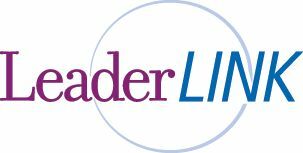 There you can find out how to discern leaders, read white papers, examine leadership paradigms, discover traits leaders need, along with a lot more. Just in time: Monday night is our first game. I have to decide this weekend about captains. Shew. Thanks Brigada. :-) Feel free to leave a comment there about leadership, too. Good stuff. 10) The Backpage: How Does One Recognize Leadership Potential? In the Kingdom of God, there’s a place for everyone, but I suppose not all of us are comfortable in leadership positions. Lately I’ve been asking myself, how does one recognize leadership potential? This is coming up in my life this week because I have to oversee the process of appointing captains of the soccer team I coach. One approach is for me to just assign them. Another would be for me to pick one and let players vote for another. A third would be to just boldly allow them to vote on all 2 or 3 captains’ positions. The same thing comes up on mission teams. Do we just set it up so that the team members vote for someone as team leader? Or do we just let the regional guy *appoint* a team leader. (Our organization currently does the latter.) What’s your protocol… or, if you had it to do over again, what would you recommend for others. But beyond mere *practice*, what are the qualities you look for in budding young leaders? Steadfastness under pressure? Ability to handle stressful situations without panic? Intelligence? Sensitivity? Diplomacy? Ability to grasp the vision? What are your favorite “top five” characteristics for leaders? Just click on “comment” below this item and have at it. Please help us assemble a body of knowledge, links & pointers, and life lessons. Thanks!